If I had to choose, and you really never know, it could come to that; I think I'd have to say that 'Je ne sais quoi' is my favourite French phrase. Translated as 'I don't know' it just has so many uses. You can literally use it say 'I don't know' but it's particularly useful to describe that something special that you just can't describe. The Je ne sais quoi. This is one multi-tasking product: it's a balm, a gloss, a stain, and lip treatment all in one. It's also kind of magical! 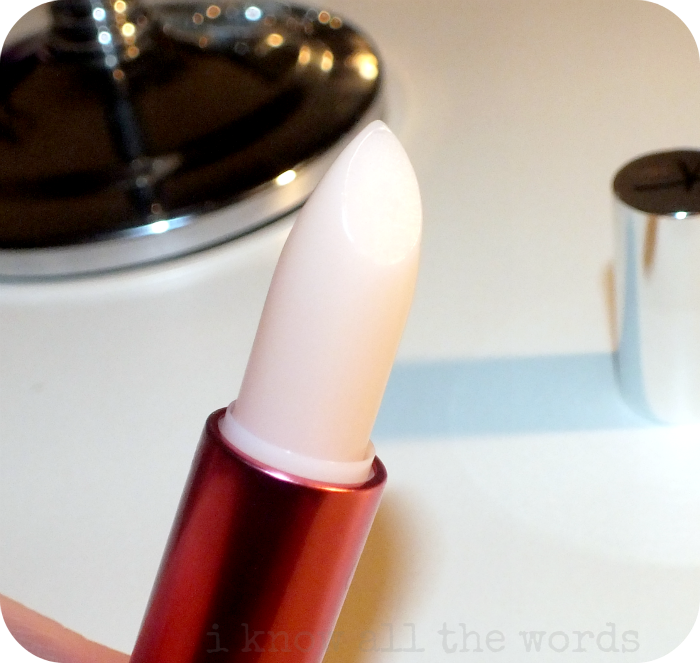 It's one of those colour changing lip products that is essentially clear in the tube and turns pink on your lips, but more on the colour in a moment. 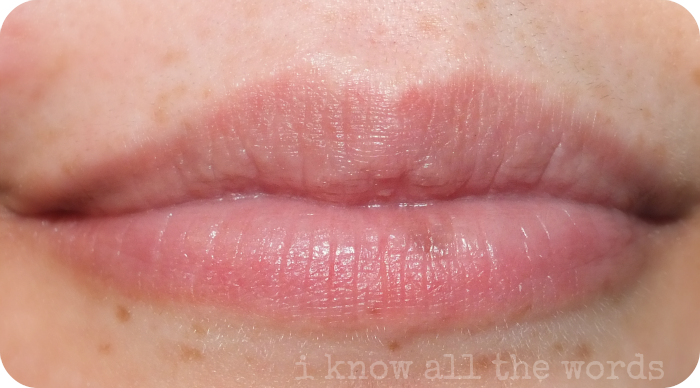 The balm/gloss (I don't quite know what I should call it...) feels like a lip balm when you apply it. Actually, if you've ever used a Fresh Sugar Lip Treatment (review), that's the exact feel you get from this, and it's just as moisturizing and so shiny. There really isn't anything negative to say about these as they're pretty fabulous. Wait, that's not completely true, these are fairly soft, so they do require a bit of care when using them as the do get dinged easily and will likely break just as easily. Je Ne Sais Quoi is a sheer pink that gives lips a natural girlie flush. It's the type of shade that will work on everyone and be that little bit different on everyone based on the shade of your natural lips. There are four shades available, so there is likely a better shade choice for you if you've got more pigmented lips or want more colour/opacity. Overall, I can't say enough about these, they're just that great! If you're looking for something similar to the Fresh Sugar Lip Treatments (at a lower price point) or an all in one product for on the go, then this is totally for you. Have you tried these yet? Thoughts? 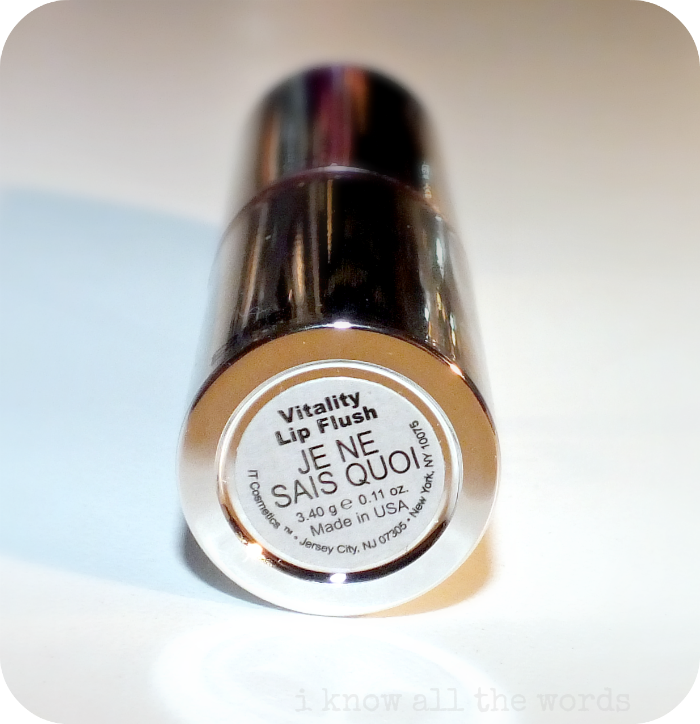 Want a chance at your very own tube of Je Ne Sais Quoi It Cosmetics Vitality Lip Flush? There just happens to be a one in my MONSTER Giveaway. Enter here!